From left, then-ADA President-Elect Jeffrey Cole, Drs. Jon Copeland, Gerald Davis, Vanessa Benavent, Man-Ly Duong, Christina Meiners, Kristopher Rappold, Nipa Thakkar, New Dentist Committee chair, and then-ADA President Joseph P. Crowley. Drs. 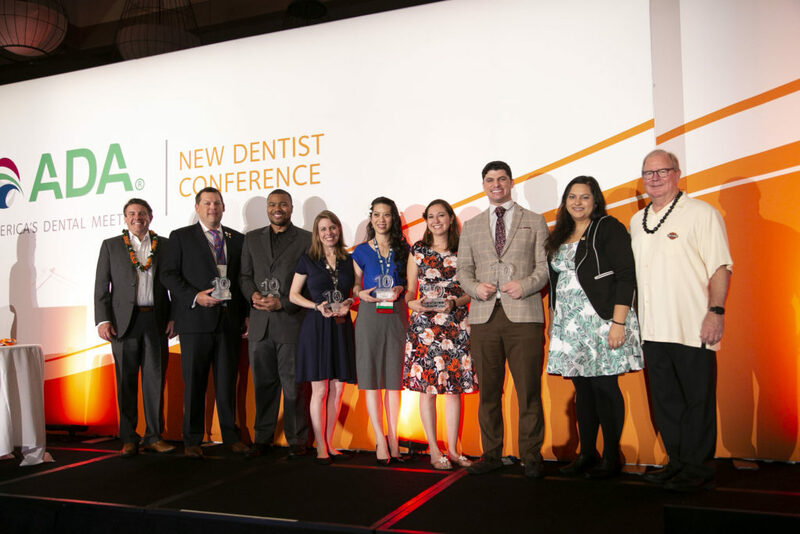 Crowley, Cole and Thakkar honored the 2017 10 Under 10 recipients at the 2018 New Dentist Conference in Honolulu. Not pictured, Drs. Michael Kroll, Hubert Park, Amisha Singh and Katie Vincer Sears.